AutoZoom today announced plans to introduce their Buy Here Pay Here (BHPH) dealer clients to a unique social media-powered video testimonial app offered by Testimonial Builder, Inc.. AutoZoom is recognized as the BHPH industry’s best underwriting guide and the only online risk-management SaaS that incorporates both BHPH analytics and custom-fit scoring models. Testimonial Builder assists businesses in digital marketing sectors with an app that enables salespeople to record a customer testimonial at the time of sale and then automatically promote the online video testimonial on social media channels as well as the auto dealer’s own website. AutoZoom was founded by Scott Carlson in late 2002. The company’s clients have originated over $20 Billion in BHPH retail installment contracts using AutoZoom’s online risk-management SaaS built uniquely for franchised and independent used-car financing dealerships. AutoZoom’s AI-powered predictive lending system provides recommendations based on a scoring and analytics credit underwriting solution that enables its clients to use numeric benchmarks measuring the characteristics not only of each applicant but also the dealstructure. This enables new and used-car financing dealerships to tie repossession financial impact results to the underwriting criteria via numeric values to determine their winning underwriting formula based on experienced results collected. AutoZoom takes the guesswork and personalities out of BHPH underwriting and allows even an inexperienced staff to make consistent, intelligent lending decisions. Scott Carlson is a serial used-car finance entrepreneur, author (www.stalwartlotrat.com), and founder of AutoZoom. He and his family have originated in excess of $2.5 Billion dollars in BHPH retail installment contracts over the last five decades. After founding and retiring from Search Financial Services, Inc. (a publicly-traded indirect lending company), Mr. Carlson recognized a need for a Scoring and underwriting system in the BHPH industry. Scott worked in his family’s start-up BHPH Company part-time until graduating high school and then began his full-time career in the BHPH Industry. During his 20 year stint (1969 thru 1988), he advanced to COO and subsequently grew the company to five locations, fifty plus employees, 2,500 active paying accounts and a total of 35,000 individual automobile financings. Upon exiting MCMC (www.mcmcauto.com) in 1988, Scott formed and capitalized his own indirect-lending company Consumer-Dealer AutoCredit Corporation (CDAC). He spent three years proving the business model and working to secure a good financial business partner. In 1991 a partnership was created between CDAC and Automobile Credit Acceptance Corporation (ACAC). In 1993 CDAC and ACAC merged with a $3,000,000 NOL company (Search Natural Resources – name changed to Search Capital Group, Inc. a public shell) via a reverse triangular merger. From 1991 thru 1996 the company raised in excess of $100,000,000 through a series of equity and asset securitization offering to fund, along with traditional leverage and cash flow, the acquisition of roughly 50,000 loans point of sale by way of a network of used-car dealerships in thirteen states. At the peak, Search (name change again to Search Financial Services, Inc.), had in excess of 200 employees and was evaluating nearly 6,000 new loan applications and closing 2,000 new sales monthly, at a cost to fund $12,000,000. AutoZoom has built BHPH Scoring models in excess of 800 used-car financing dealerships ranging in size from start-up to its largest client with over dozen locations and continues to maintain strong relationships with many of them. To-date, AutoZoom clients have processed more than 2,000,000 customer applications and generated more than 1,000,000 retail installment contracts through its portal and provided repossession data on several hundred thousand of those customers. Peter “webdoc” Martin is a technology correspondent and digital marketing expert. He is well-known for his innovative services for the automotive industry and his contributions to the email marketing field. Peter is also the president of Cactus Sky Digital, a company that helps businesses acquire, manage and retain customers online. Peter is an acclaimed speaker and automotive industry expert specializing in digital marketing trends, mobile-enabled emails, conquest email marketing, integrating technology and selling to women. He has been featured at numerous industry events before including NADA and previous Digital Dealer, AutoCon and RVDA events. He has also been a speaker at C12 Christian Business Group conferences and to alumni groups from Ohio State University. He is a contributing author to AutoSuccess Magazine and other trade publications. He is also a member of the National Speakers Association. Testimonial Builder assists businesses in digital marketing sectors including online reputation, video syndication, SEO, social media, consulting, training and customer satisfaction. Testimonial Builder enables salespeople to record a customer testimonial at the time of sale when they are most excited and then automatically promote the online video testimonial. 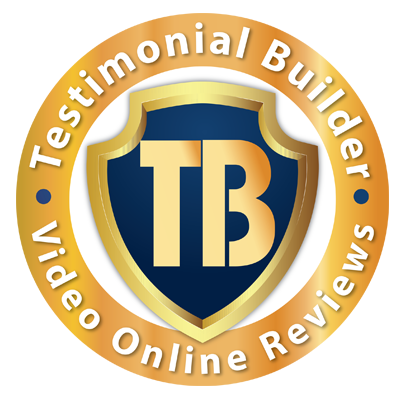 Businesses can reach and acquire new customers with video testimonials. Once uploaded, the business can showcase video testimonials on social channels or websites and can link them to any email or digital marketing collateral. This integrated and automated program improves business’ online reputation and SEO while providing an interactive social media experience for customers, resulting in increased sales.